We want to help you find the part you need. If you know the exact part you’re looking for, you can shop NAPA Online (for retail customers) or NAPA ProLink (for commercial customers). Below you can read an overview of brands, part categories, and product lines we stock. If you need some advice or want to know if we have a specific part on hand you can find your store and give them a call. We carry batteries for a wide variety of vehicles. Of course we have car batteries, but we also have batteries for your motorcycle, wave runner, lawnmower, or golf cart. Additionally, our stores offer tractor and industrial batteries. NAPA Batteries are available in the Power, Legend, and NASCAR Select series. Every battery comes with a free replacement time period in addition to a pro-rated replacement period. Our premium line bearing are manufactured by SKF. We also carry NAPA Proformer bearings, which are generally a more economical choice. We have bearings available for automotive, industrial, and agricultural applications. NAPA belts and hoses are manufactured by the Gates Corporation. Ham’s NAPA Auto Parts stocks a wide array of v-belts and serpentine belts for cars, trucks, tractors, mowers, boats, and industrial equipment. Our body and accessory offerings include interior and exterior parts. To name a few, we have side mirrors, rear view mirrors, trim and molding clips, and window and door handles. Additionally, there are trailer hitches, grill guards, step bars, seat covers, and lift supports for trunks, hoods, or hatchbacks. We carry brake pads in a variety of lines. For the cost conscious, there is the NAPA Proformer Pad. Our best-selling are the NAPA Safety Stop Pad. Finally, we offer NAPA Ultra-Premium and Fleet Line Brake Pads and accessories. Though we may not have your specific model in stock at a given time, we do offer specific OE supplier brake systems and pads for import cars. We stock NAPA brand as well as most major label engine oils including Chevron Delo, Shell Rotella, Mobil1 Synthetic, and Castrol GTX. Generally, oils are available in both gallons and quarts. We carry Hydraulic oils including R&O Hydraulic, Tractor Hydraulic Oils, AW32, AW46, and AW68 Hydraulic Oil. Other chemicals we stock are engine additives, adhesives, anti-freeze, car washes and cleaners, lubricants, and greases. We carry NAPA Temperature air condition, radiators, and air condition products including compressors, condensers, filter driers, expansion tubes, and car air filters. Our offerings in this field include axles and differentials, clutches, shafts, boots, joints, drive units, driveshafts, U-joints, hydraulic components, and wheels. Ham’s NAPA Auto Parts sells engine components: drive assemblies, air intake components, crankshafts, cylinder heads, cylinder sleeves and assemblies, engine heating and cooling components, engine timing and valve-train, expansion plugs, idlers, tensioners, pulleys, mounts, oil pumps, oil pans, dipsticks, piston rings and rods, and valve covers. Whatever your exhaust system needs, we have you covered. Our exhaust system parts consist of catalytic converters, ejectors, extensions, spouts, tips, flanges, hangers, insulators, inserts, manifolds, headers, risors, mufflers, pipe adapters, connectors, pipes, tubes, resonators, shields, and spark arrestors. 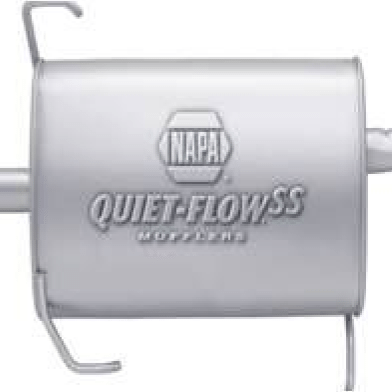 NAPA Filters offers a Silver, Gold, and Platinum line for multiple applications from cars and trucks, to tractors and industrial vehicles, to motorcycles, boats, and atvs. We also have Man-Hummel filters available. We carry a wide variety of gaskets, seals, and o rings. Our gaskets are manufactured by Fel-Pro. In our Reynolds store, we sell hardware, which includes light plumbing, lighting, bagged concrete, lawn and garden tools, bug sprays, weed sprays, house paint and more. Every store supplies a large selection of hand tools. All of our store locations custom make hydraulic hose assemblies. We always use Weatherhead fittings and hoses. Our technicians make both 2 wire and 4 wire high pressure hoses. If you need to replace a headlight or taillight, we have you covered. We stock headlight, brake light, and turn signal bulbs, parts, fuses, and assemblies. Additionally, we carry LED light bars in a variety of shapes and sizes. Hams NAPA sells Martin Senour Automotive Paints and Finishes which are custom mixed in store. We also carry 3M body shop supplies and Norton sandpaper. Steering parts consist of drag links, hoses, idler arms, linkage rods, power steering pumps, rack and pinion, and tie rods. Suspension parts are sway bars, suspension kits, struts, spring kits, shocks, lowering kits, control arms, ball joints, and bushings. These components consist of clutches (our clutches are made by Luk), mounts, air coolers, shifting parts, and transfer cases. We sell automatic and manual transmissions but may have to special order yours depending on specifics. Our windshield department covers sealant and tape, wiper arms and blades, and windshield solvent and bug repellent.